We stuck to the plan again last week! EVERY NIGHT!! Our favorite of last week was the breakfast pizza. So easy and everyone loved it! We just topped a pizza crust with scrambled eggs, sausage and cheese. So good! 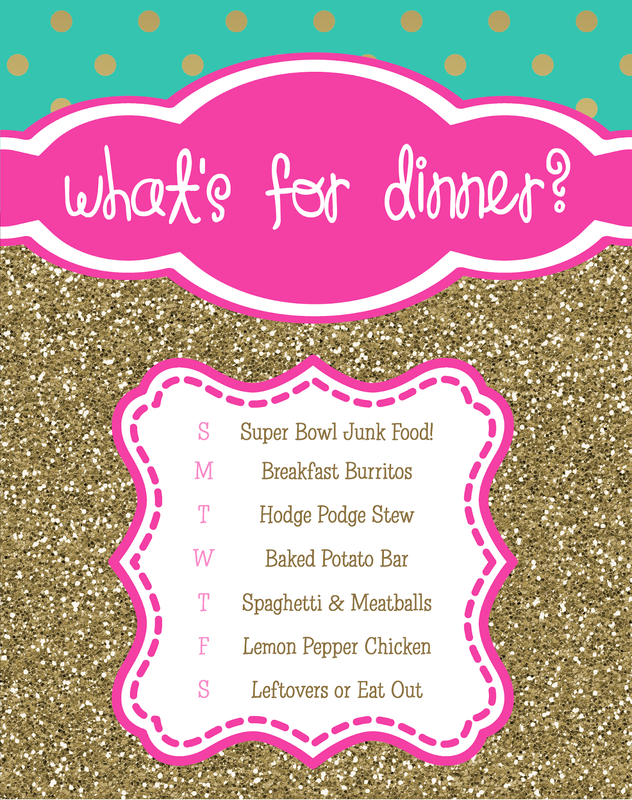 You can order your dry erase menu board HERE. If you don't see the design you are looking for please email me! I'll list it for you if it's available.